Jason Magnuson first became interested in ecotoxicology after attending a conference addressing the wide-spread concern of contaminants on amphibian populations. He conducted my first toxicology experiment in an undergraduate animal physiology class, observing changes in the stress response of fathead minnows exposed to varying doses of a glyphosate-based herbicide. 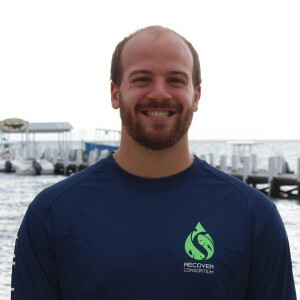 Wanting to continue his education and research with contaminants, Jason completed a Master of Science in Biology at the University of Wisconsin–La Crosse, where he studied the relation between mercury, selenium, and expression of oxidative stress enzymes in northern pike. The RECOVER program has offered a great opportunity to continue his research on how changes observed at the molecular level following an oil spill impact the physiology and ecology of fish.